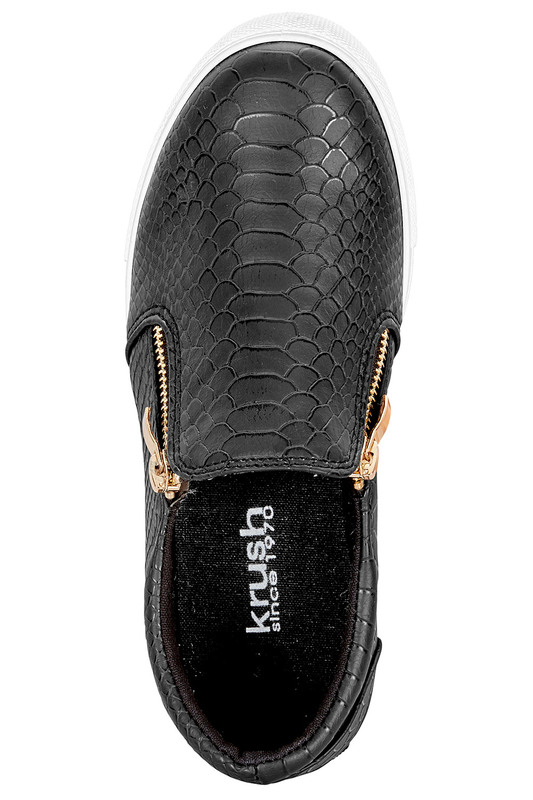 Strike a balance between smart and casual with these easy slip-on shoes, which are web exclusive from the Krush. 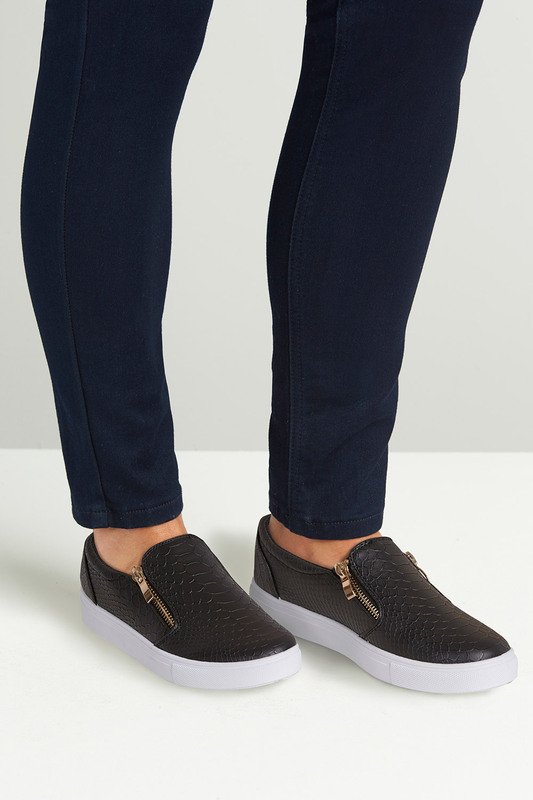 The upper is made from a stylish mock-croc fabric. The sleek black shade and zip details on either side add a touch of glamour. 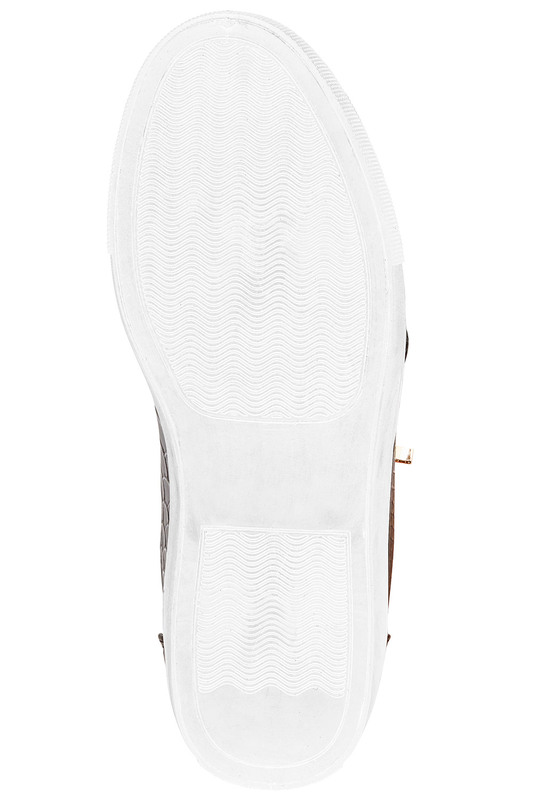 These shoes give you a lift with a 2cm heel. Team with skinny jeans and a sweatshirt for effortless style.